Find Out About Grapevine Foundation Repair Contractors, HD Foundations. Our Solutions End Problems And Cracks. Need Grapevine foundation repair? The contractors at at HD Foundations stop all kinds of foundation issues, including fractures. We offer an outstanding warranty and perform free foundation evaluations. So if you’re in Grapevine and require a foundation repair company, contact HD Foundations. We’re a (BBB) Better Business Bureau-affiliated company with an A+ rating. Property owners frequently need to enlist contractors to have their foundation fixed. This is because of severe weather conditions in the DFW area. 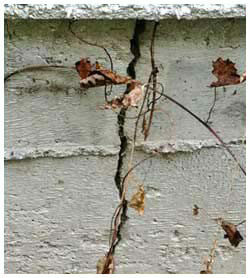 Changes in temperature and soil movement can lead to fractures and foundation damage. The contractors at HD Foundations can fix your foundation and eliminate crevices. Cracks that are 1/4″ wide or larger are cause for concern. We also understand that foundation sinking, settling and splintering issues are serious issues. That’s why we install steel piers and concrete piers in areas all around Grapevine. We also make extensive repairs on concrete slabs. At HD, we’re known for providing foundation repair solutions for pier and beam structures. We eliminate mold and mildew associated with wet crawl spaces, and commonly provide crawl space repair services. 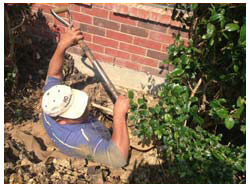 When you require residential foundation repair contractors in Grapevine, call HD Foundations. It’s possible that you simply need us to adjust your foundation shims. We can install new ones, too. Our company commonly re-shims foundations all across the DFW area. We do it by physically lifting your house foundation or commercial structure. It’s important that foundations be even and stable. 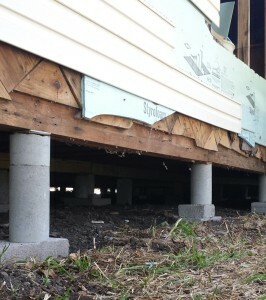 If your house is sinking, house leveling is the answer. It stops fractures from occurring. If you have concerns, you may want to review the causes of foundation cracks. In the event that your Grapevine property requires a foundation drainage system such as a French drain or surface drain, we can install one. This will help eliminate a variety of foundation problems. Obtain A Lifetime Foundation Warranty And Get Free Estimates. When you have repairs made by HD Foundations, we guarantee our service. Our lifetime warranty means your foundation is protected in the future. So if you require the installation of foundation piers anywhere in the Grapevine area, obtain a free foundation repair estimate online today. We fix residential and commercial properties, including apartments and town homes, and service the entire DFW metroplex.